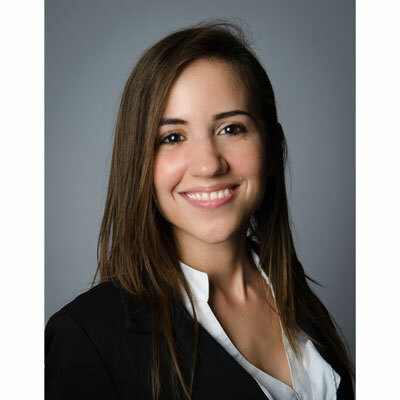 Monica Cruz joined Avaya in 2015 as part of the Global Management Development program, an on-the-job rotational program, learning Avaya's solutions, processes and culture. Her experience in sales as a Territory Account Manager has provided several insights into partner program strategies. In 2016, she joined the Avaya Americas International Marketing team as Marketing Communications Manager developing strategies to increase Avaya's growth in Latin America and Canada. Her expertise in content strategy led to her current role as Global Partner Marketing Communications Manager leading the development and execution of partner communications to increase Avaya's worldwide presence. Monica holds an MBA from Nova Southeastern University and a Bachelor of Arts in Political Science from Florida International University. Monica spent a year studying at the University of Hawaii at Manoa located in Honolulu during her undergraduate studies. 2018 has been a year of transformation and we began with several exciting announcements including our public listing on the New York Stock Exchange (NYSE), our sold out customer and partner event Avaya ENGAGE 2018, and the acquisition of leading Contact Center as a Service (CCaaS) solutions provider, Spoken Communications. Over this last year we have been committed to driving partner success and alignment by providing real-time communications and assets regarding each of our key milestones to better serve our customers. We continue to build stronger relationships by creating innovative communications tools; our newly launched Avaya Partner CX application allows partners to stay connected to their Avaya network and access sales tools on the go. In addition, our Avaya Edge Global Partner program continues to evolve with initiatives designed to reward partners for their growth and areas of expertise. Our partner community is critical to Avaya's success and our goal is to expand our global channel ecosystem to drive disruptive technologies such as blockchain and artificial intelligence. Avaya is focused on leading the Unified Communications and customer experience industry collaborating directly with our partners to simplify operational processes and making it easier to do business with Avaya, while providing partner profitability. I was honored with the Avaya Ovation Awards in 2017 and 2018, for displaying extraordinary leadership and business results for time sensitive strategic announcements. Ruth Bader Ginsburg is a woman I admire. As the second female Justice to enter the U.S. Supreme Court, she is a pioneer in her field as she was continuously discouraged from practicing law but continued to press forward in pursuit of her goals. Her commitment, strength, and empowerment of women is inspiring. There's no easy road to success, take action and keep focused. Find mentors, take on challenges, and never stop learning. Encourage and empower your colleagues. The skill I would master would be graphic design. Leveraging the ability to create visual images to help strengthen messaging and drive additional brand awareness across communications. Images have the ability to inspire and maximize your audience's attention. Sheryl Sandberg's "Lean In,"great advice on redefining business leadership and taking opportunities.